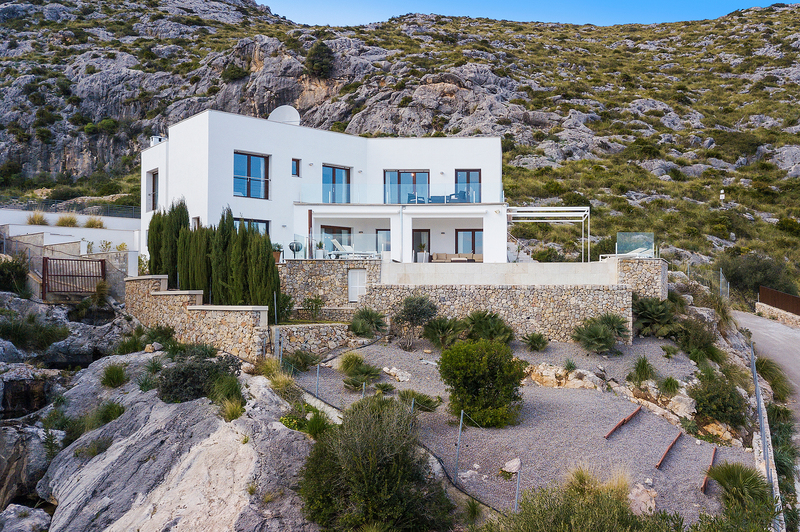 Luxury 4 Bedroom, 3 Bathroom Villa with Sea View and a Private Swimming Pool , Air Conditioning, WiFi, Satellite TV, near Golf, Sleeps a maximum of 8 people. 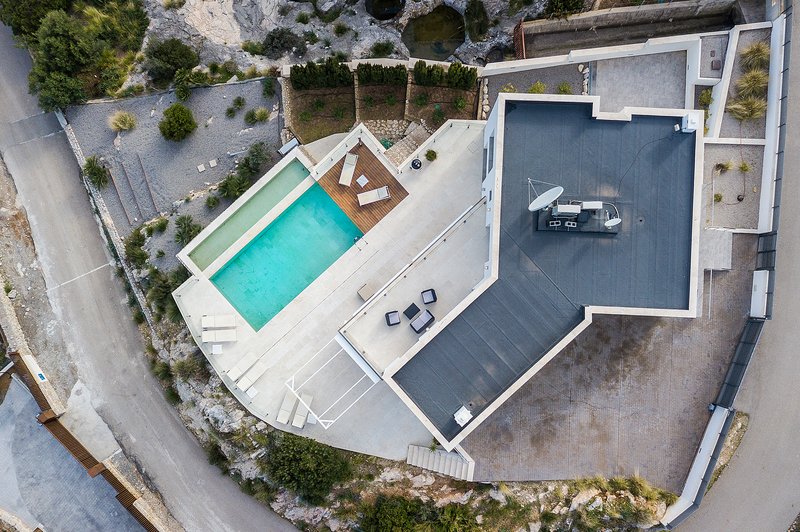 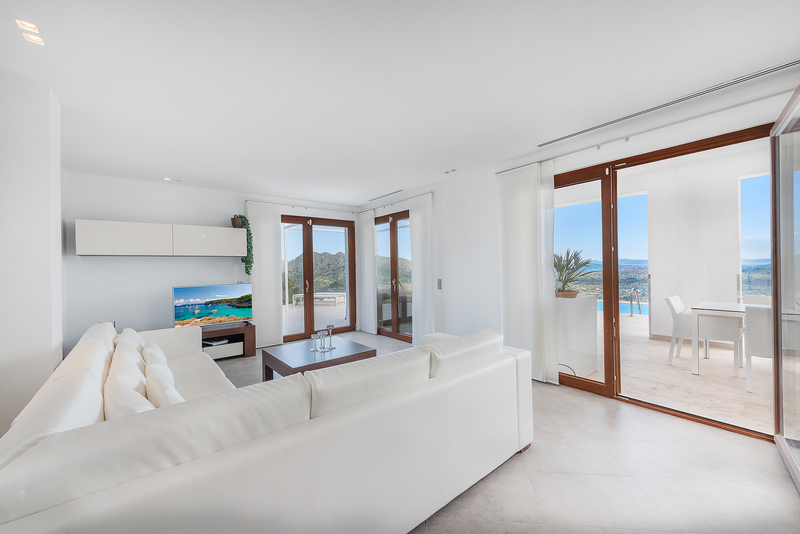 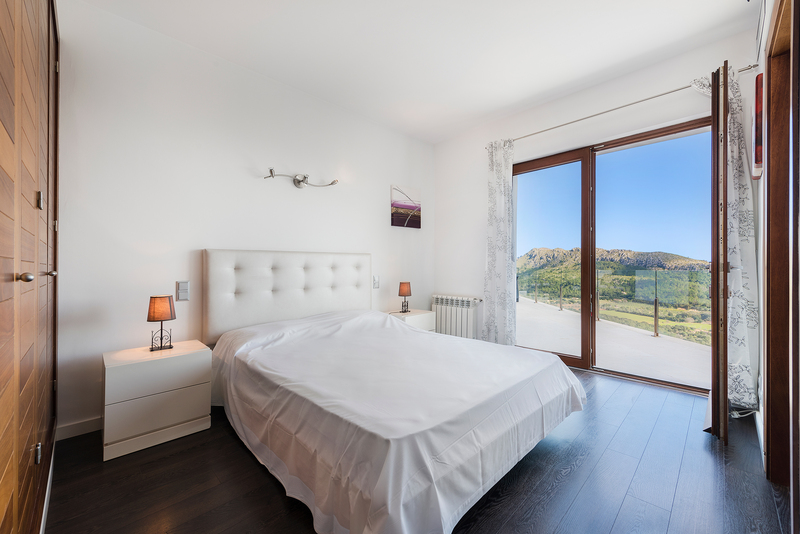 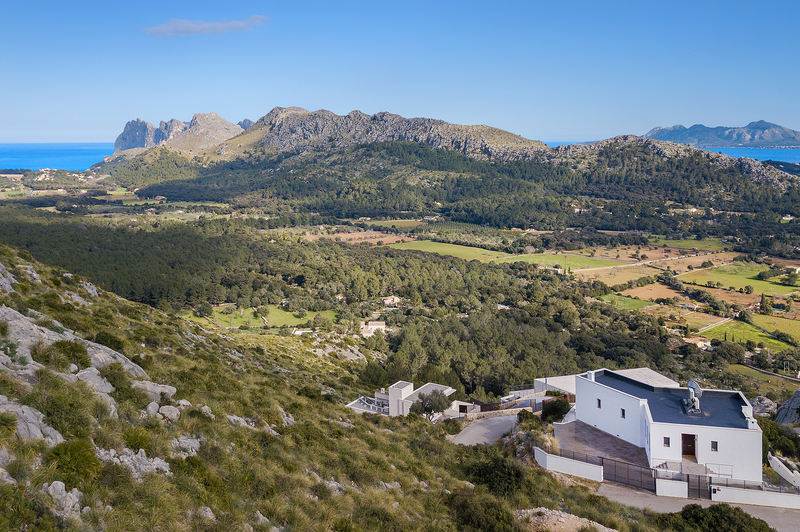 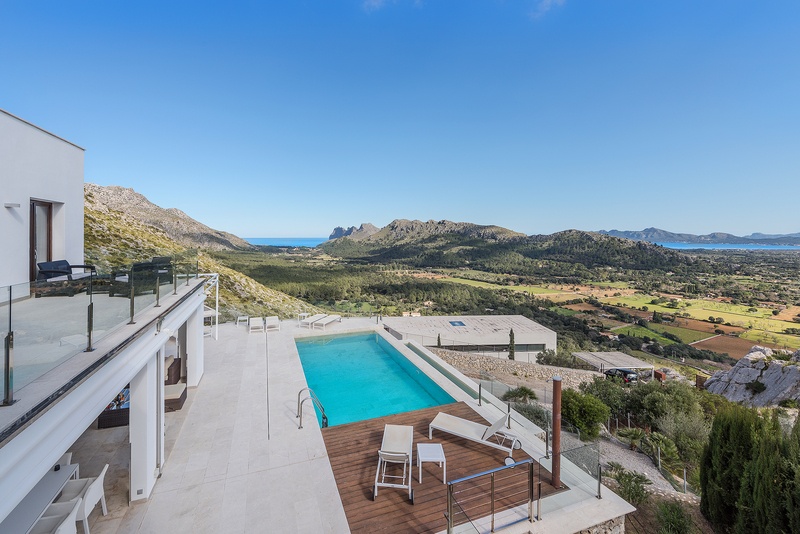 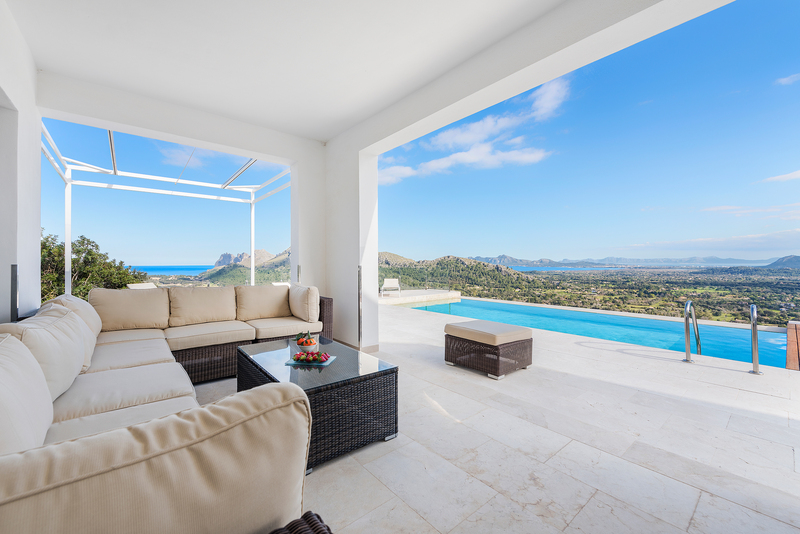 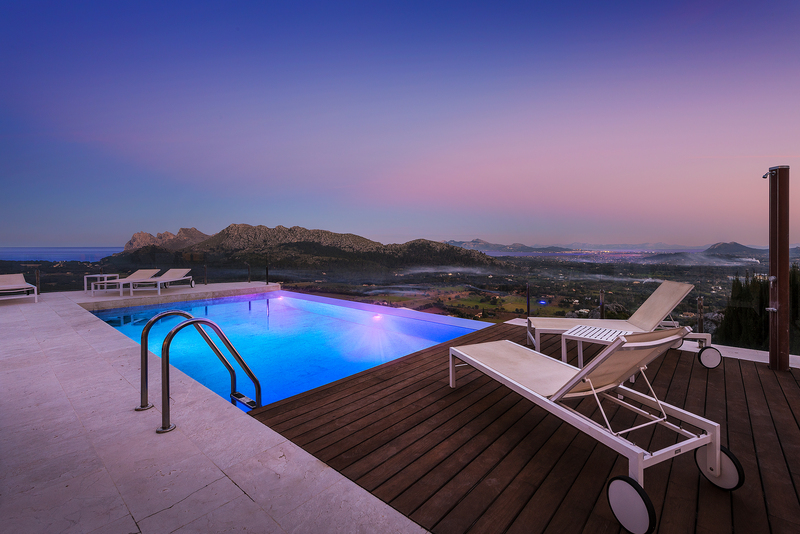 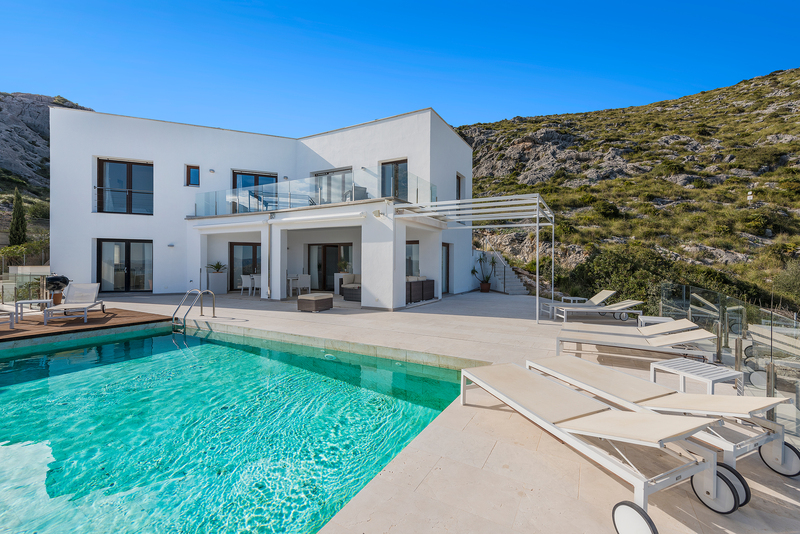 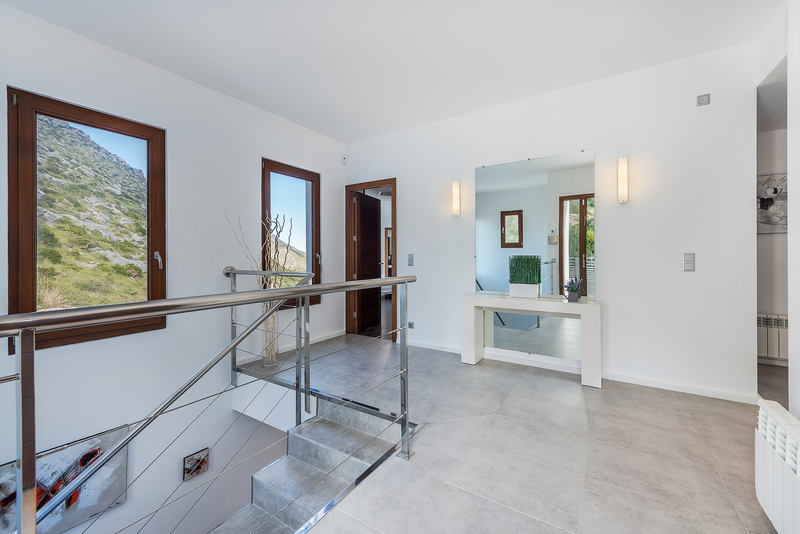 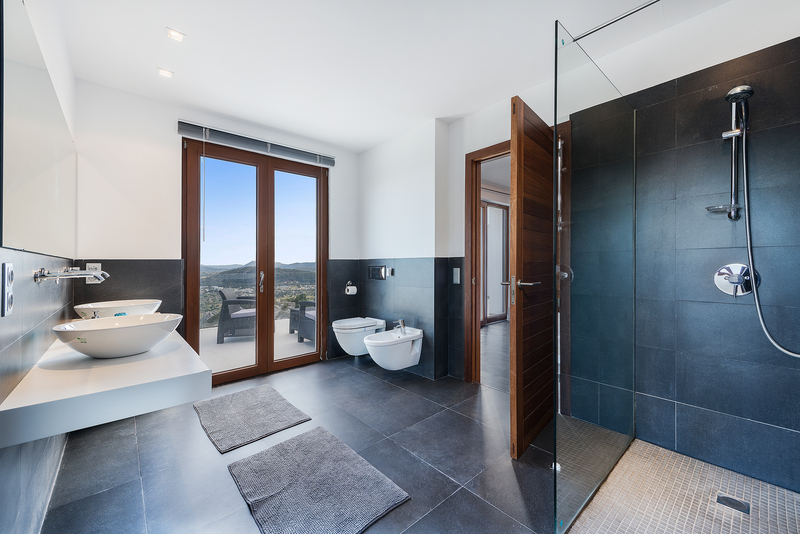 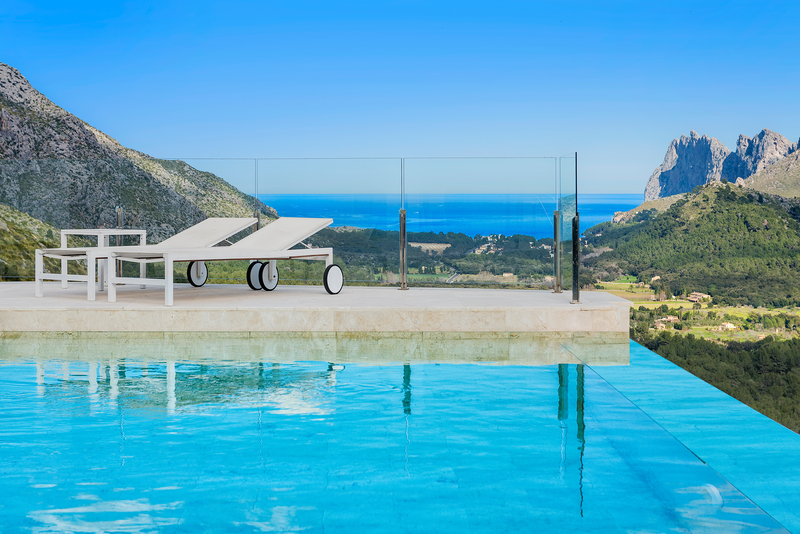 This outstanding contemporary villa offers incredible views of the 3 bays in the north of Mallorca, located on the top of the hill with easy access through the residential estate, in one of the most exclusive residential areas of Pollensa. 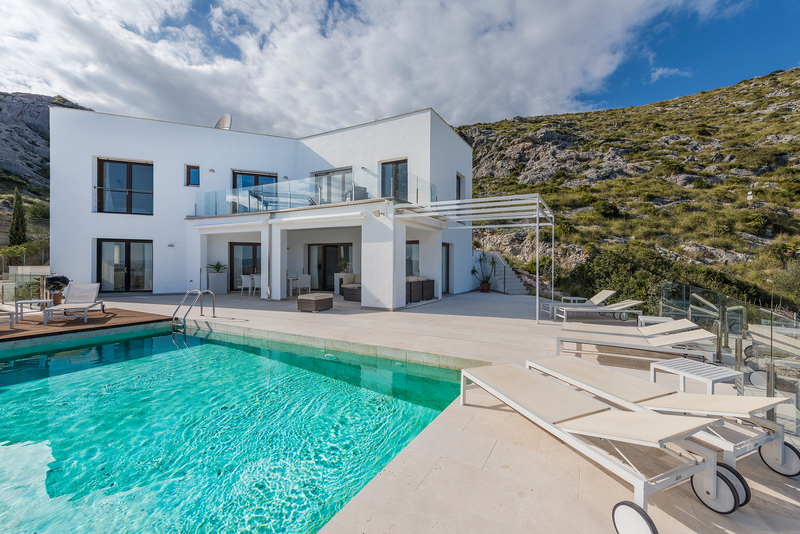 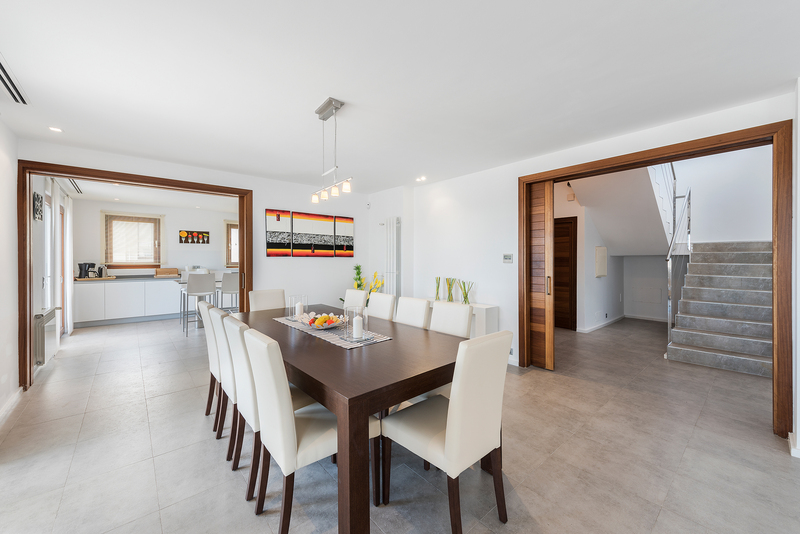 The villa comprises 4 double bedrooms (all beds are recently bought and doubles) all on the upper floor and 3 bathrooms, a modern, fully equipped kitchen and a guest toilet on the ground floor. 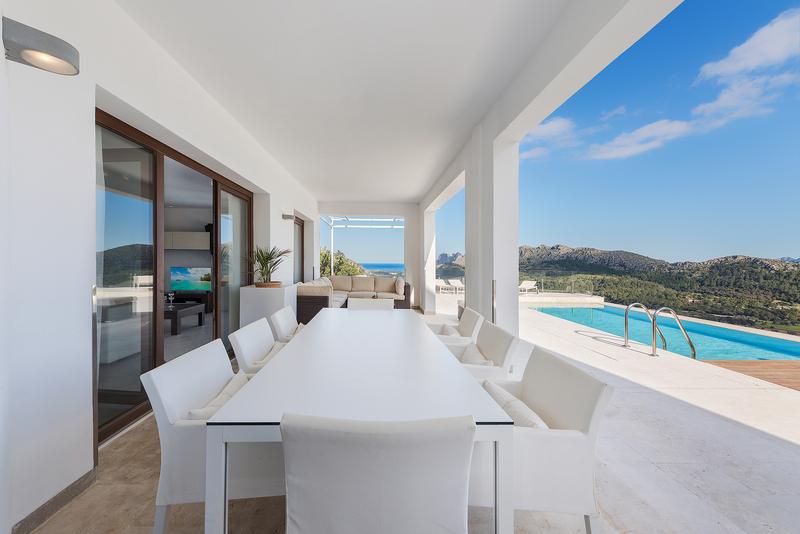 The lounge doors lead to a large pool terrace with BBQ. 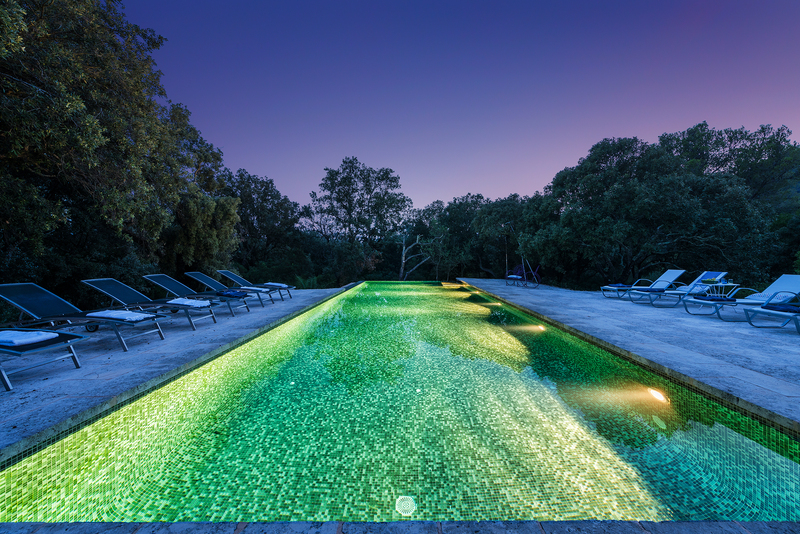 There is white cream marble stones across the terraces and inside the infinity-style-swimming pool (10m x 5m with a depth of 1.7m). 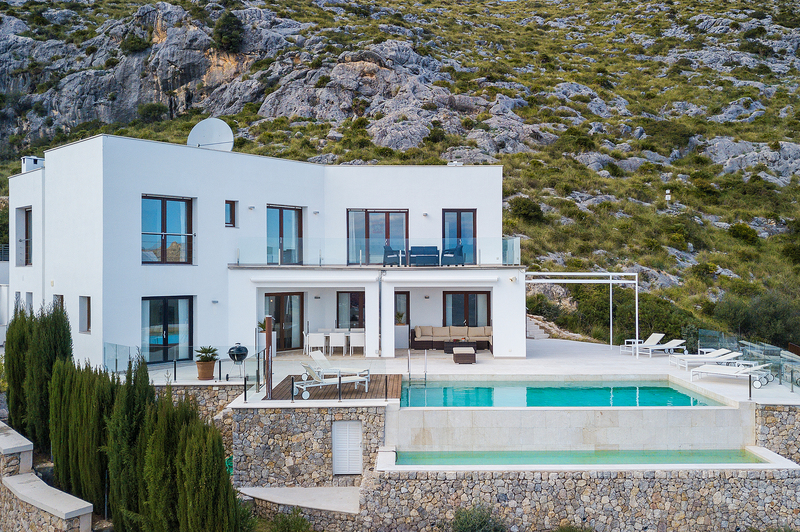 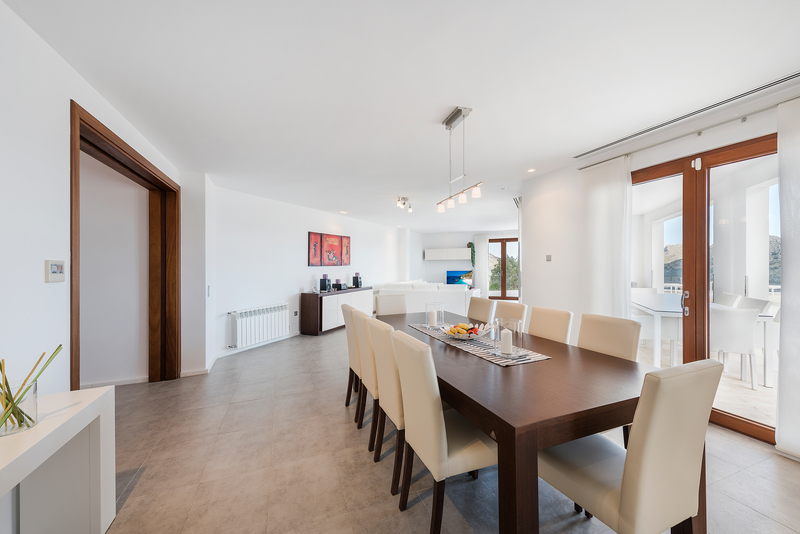 Air-conditioning and central heating throughout the villa. 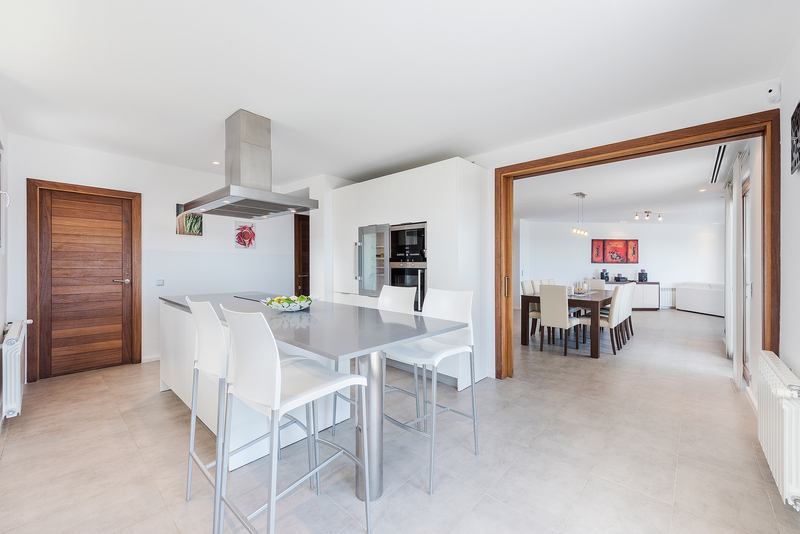 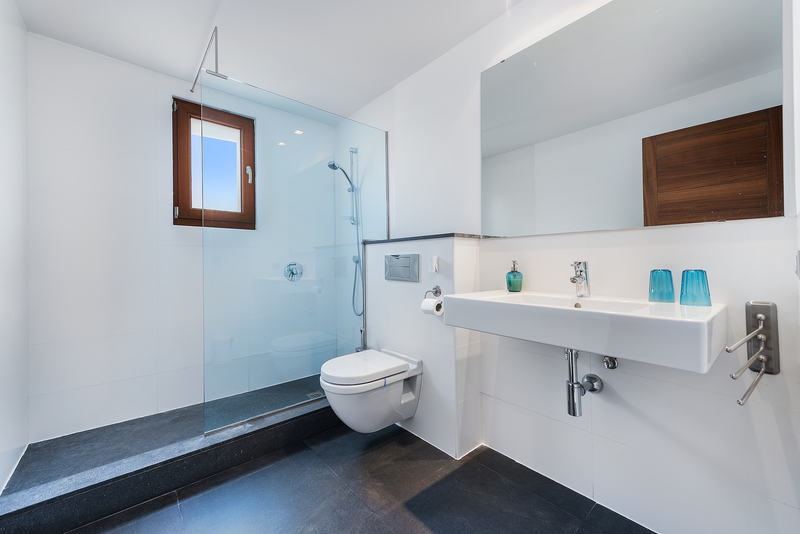 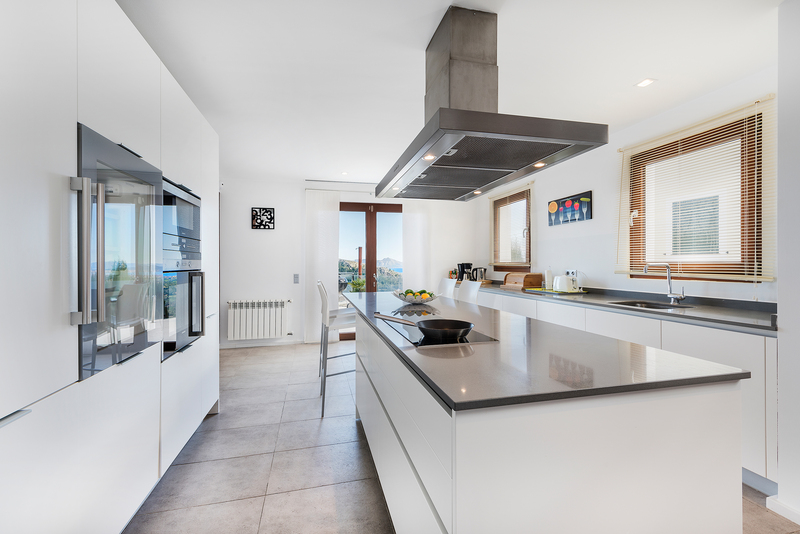 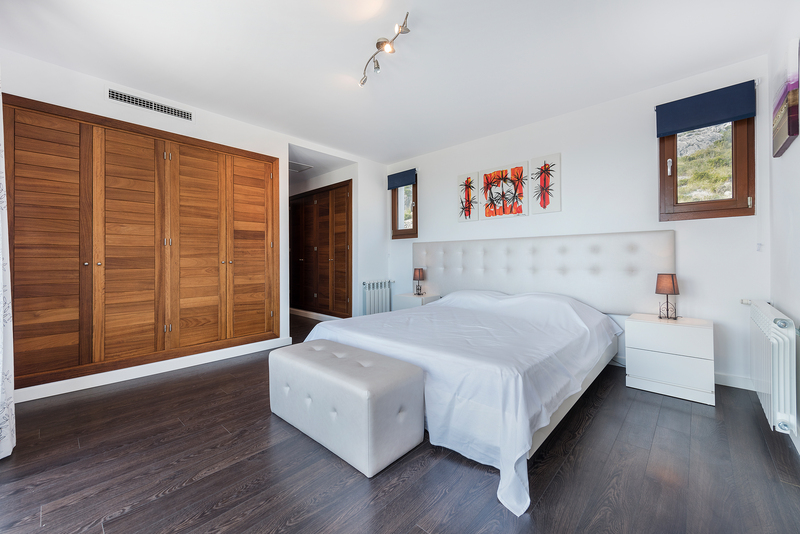 Additional features include; modern furniture and a contemporary kitchen which is fully equipped. 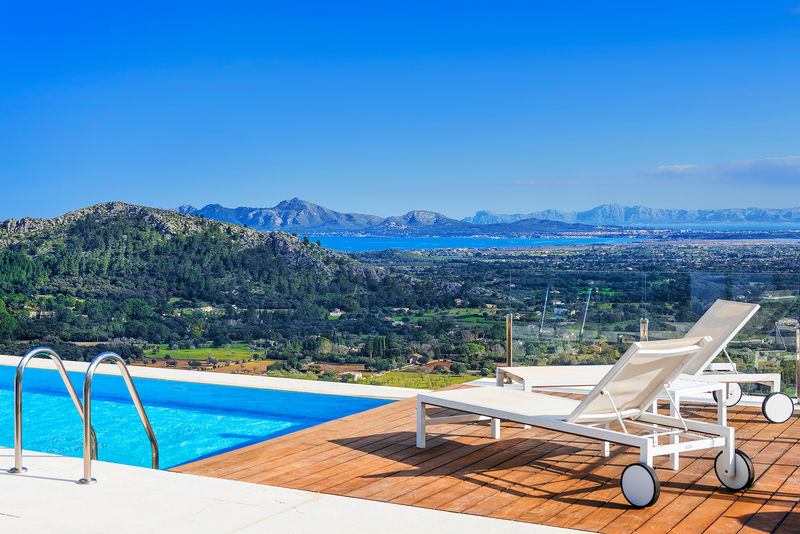 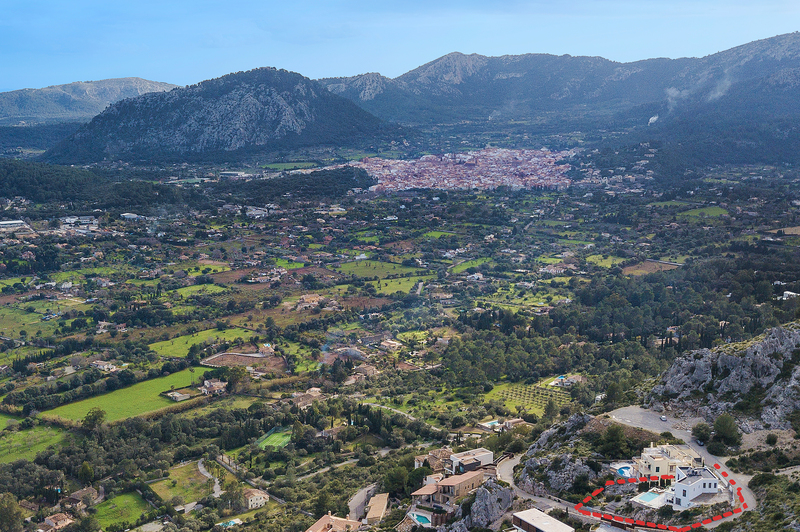 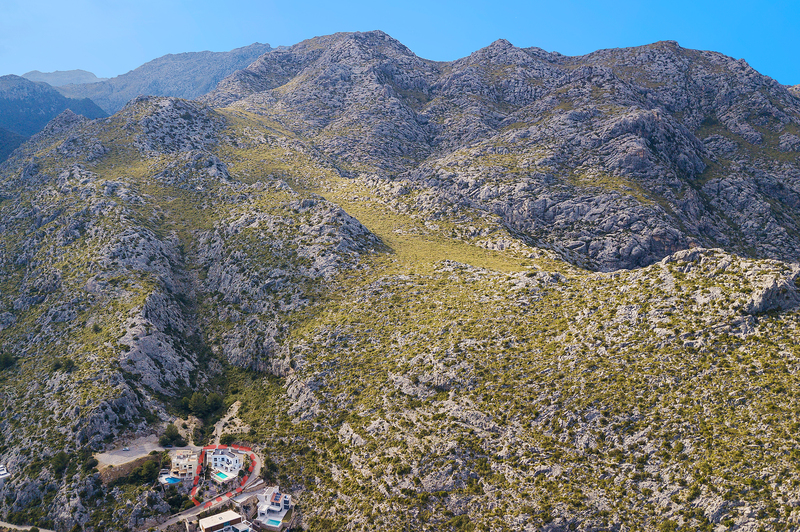 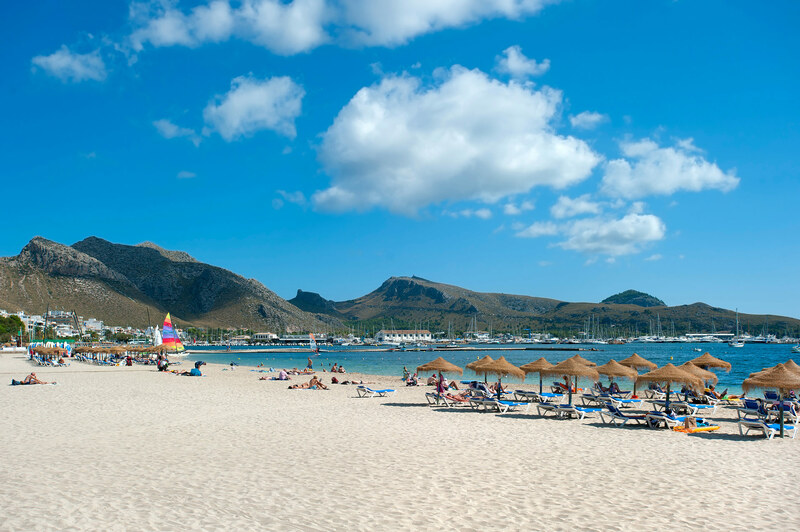 The villa is located a short-distance to the town centre of Pollensa where you can find many bars & restaurants. 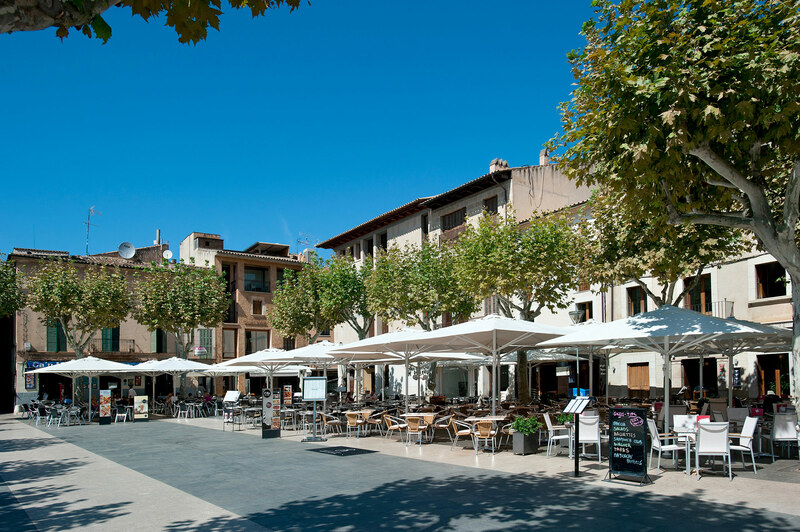 The ancient town of Pollensa is transformed each Sunday morning when Placa Major becomes a hive of activity as the magnificent weekly market reclaims the square and fills any space not otherwise occupied by the delightful outdoor cafes.